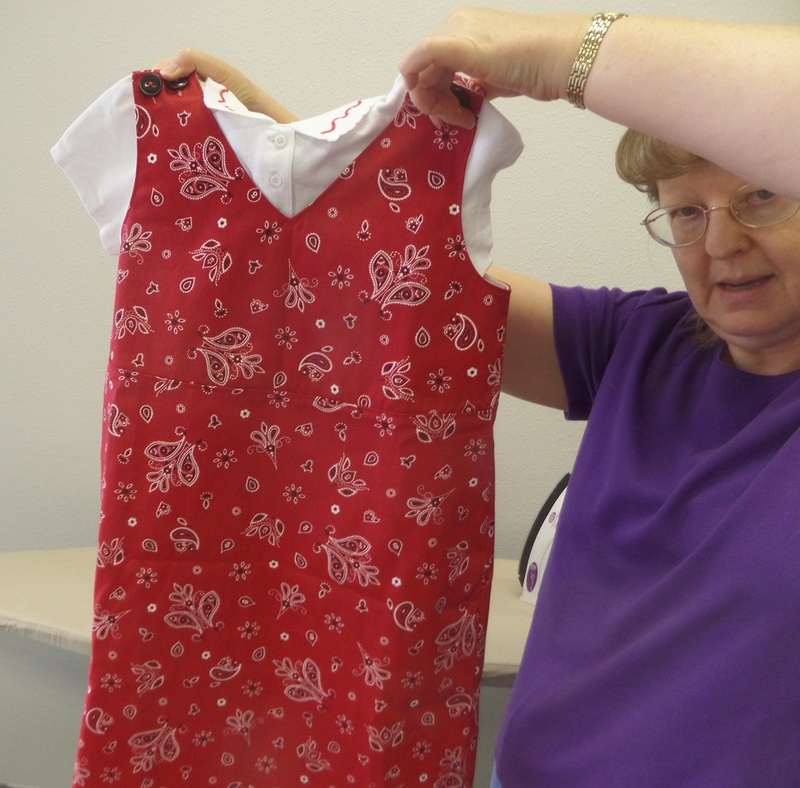 The first part of July saw a new makerspace in Las Cruces, called Cruces Creatives. Of course I was intrigued and excited to check it out. The space is large and full of possibilities, with areas for computer creation and 3D printing, audio and video production, a woodworking space, and a bicycle shop space. Most important - at least for me - is that there is also a textile space. 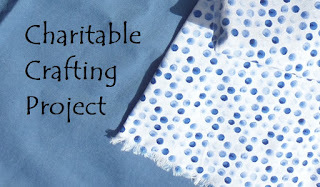 If you've read my blog at all (and I won't feel bad if you haven't...) you know that I enjoy social crafting. You know, getting together with friends, or people who are becoming friends, to craft. What's not to like about a makerspace?!?! I joined up, of course. Well, part of the thing about a makerspace is that they are looking for projects to occur in the space. 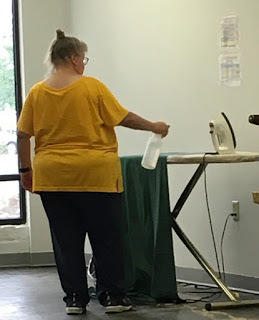 So, when I passed the Gospel Rescue Mission Thrift Store, blackened and closed with boards over the windows, and read about the fire in the newspaper, and how the fire had damaged the clothing and school supplies that they had been collecting to distribute for the upcoming school year, I found inspiration. I went and pitched my project to the makerspace and they got excited. I wrote up a proposal for Charitable Crafting and set some dates in July for sewing kid's clothes, and asked for donations. Cruces Creatives put it on their calendar, and on Facebook. We even got a mention in the newspaper. 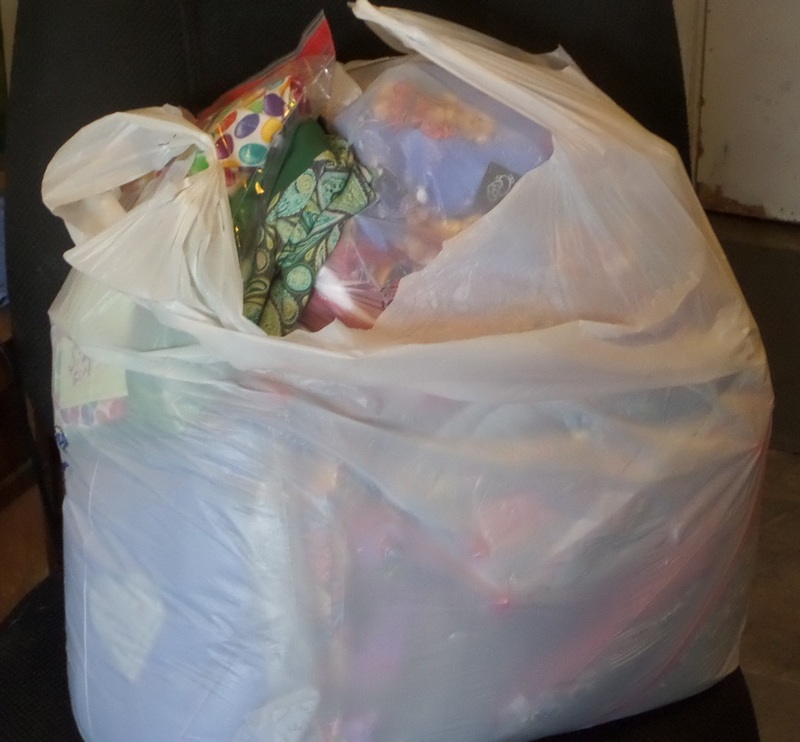 Donations of fabrics and supplies started coming in. I was and continue to be pleasantly surprised (floored) by the generous response. There were two crafting days in July, a Saturday morning, and a Wednesday evening, and we had 6 people at the first one, and about that many (although not all the same people) at the second meeting. 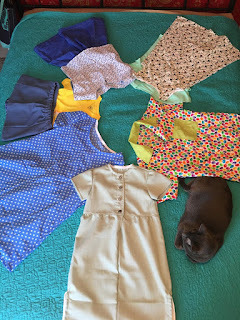 We got busy sewing up what I had cut out in preparation, and then cutting out some other items as fabric inspired. I was able to donate at least 10 outfits before Gospel Rescue Mission had their before school starts distribution day. It was a small start, but it was definitely a start. Cruces Creatives were excited. Did I want to make the project a continuing event? Well, I could tell, that although the sewing turn-out was light, that people were interested. And we had successfully donated some kid's clothes to a good cause. If we had regular times and dates, who knows how our efforts could grow? So, we set some regular times. 2nd Wednesday, from 5-9 PM and 4th Saturday, from 9AM-1PM, in case you are interested, and want to come help out. Some of our first group of finished garments donated. My friend, Cynthia Smith got inspired to create several outfits that made the first donation, and then she REALLY got busy, putting together kits of a t-shirt with some embellishment, and either shorts, capris, or a skirt. She approached the Las Colcheras Quilt Guild to see if they were interested in helping put together the kits. She handed out 30 kits! 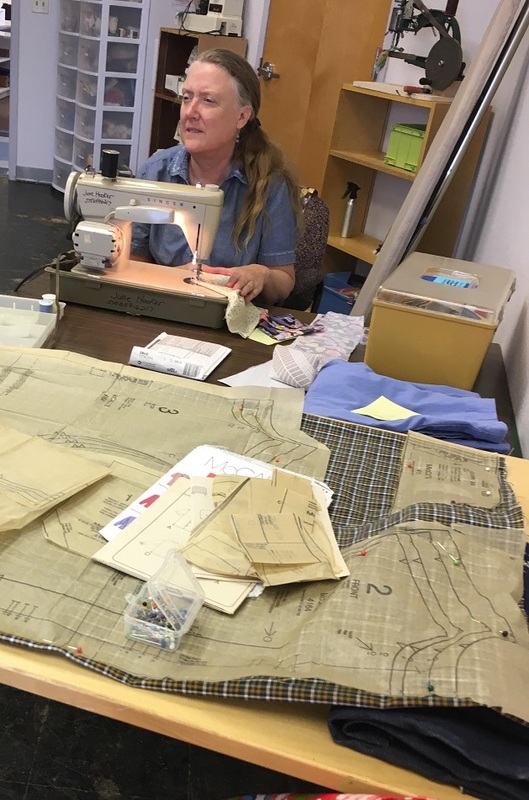 Some of the Las Colcheras Quilt Guild members stopped by on our most recent (today's) crafting day, and dropped of finished outfits and/or stayed to help sew! That's a super cute jumper! At this point we have 28 more outfits ready to donate, and even more that are in the works, still. 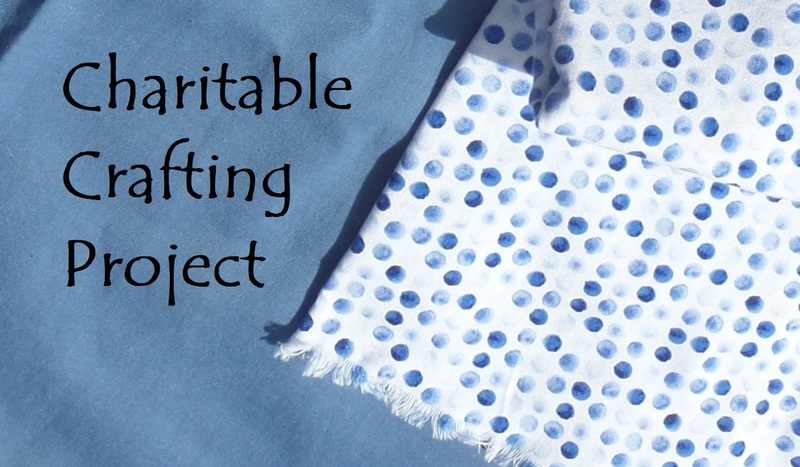 I've had the pleasure and privilege to work with fine crafters, new and experienced. I've helped inspire, and in turn, I've been inspired. The community has given so that we could give to the community. Do I call this a win? YOU BET I DO!! The final inspections and permits for the makerspace are completed, and Cruces Creatives officially opened on Tuesday, 6/26! Tuesdays-Thursdays, 9:00 a.m. to 9:00 p.m.
Fridays and Saturdays, 9:00 a.m. to 5:00 p.m.
Let’s start learning, making, and connecting together! Over the next few weeks, look for a blossoming of events and workshops, and, come on by the makerspace—it’ll be open to all members and for tours! Founding memberships—which offer a permanent discount to thank you for being with us from the very beginning—are still available for the first 100 members. You can get your founding membership for access to the space and tools during all open hours, free introductory safety and skills classes, and 10% off all additional classes and workshops. 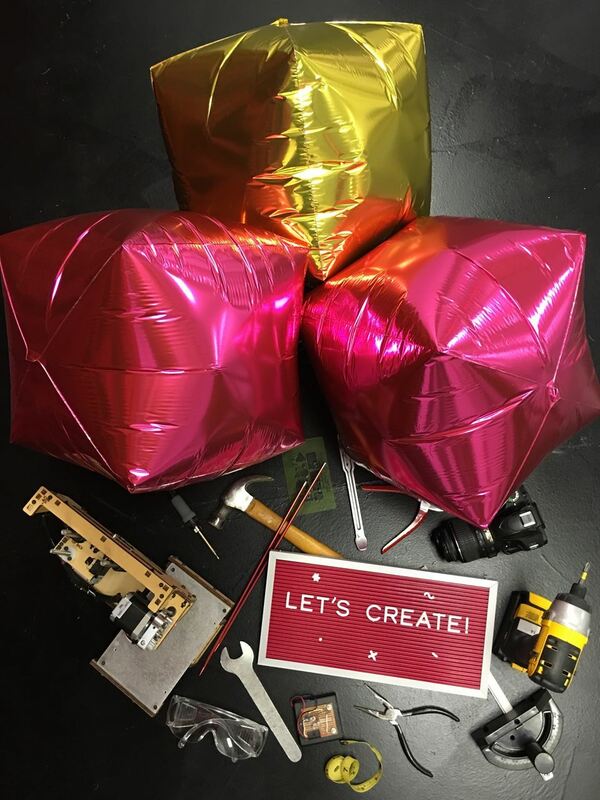 We look forward to seeing you in classes, workshops, or around the makerspace as a member! Cruces Creatives will be opening soon in Las Cruces. Subscribe to this site to be notified when this occurs. In preparation for opening, we are holding a volunteer event as a first get together. You can see details here.